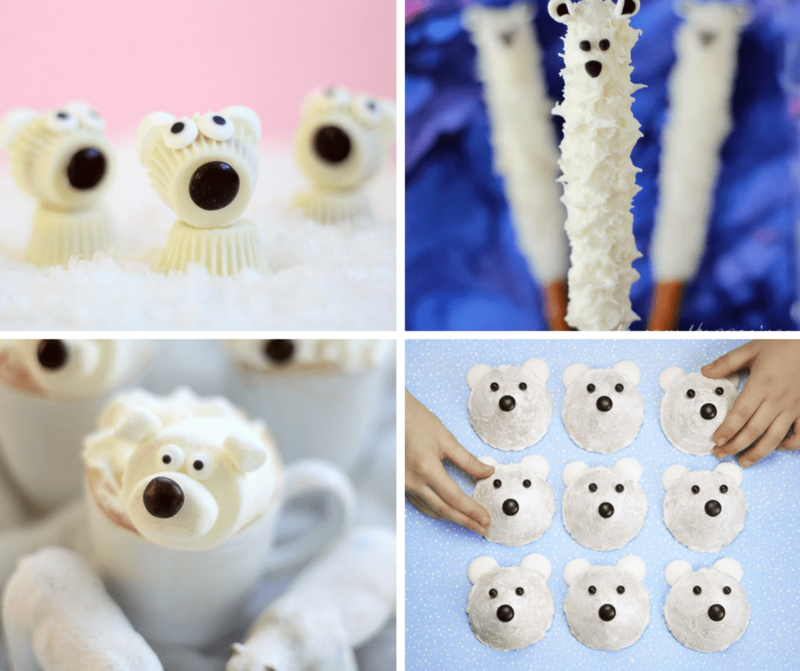 A roundup of 20 polar bear treats and crafts from around the web for a winter-themed party. 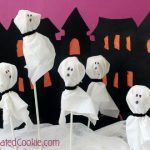 I know we tend to associate polar bears with Winter (although, I associate them with The Golden Compass, because His Dark Materials is the best trilogy ever in the history of ever), and we’re barely into Fall, but gosh darnit, they are so cute (except for Ragnor, he was mean), I can’t help it with this roundup. Want more like this? Check out my Panda Bear roundup, too. 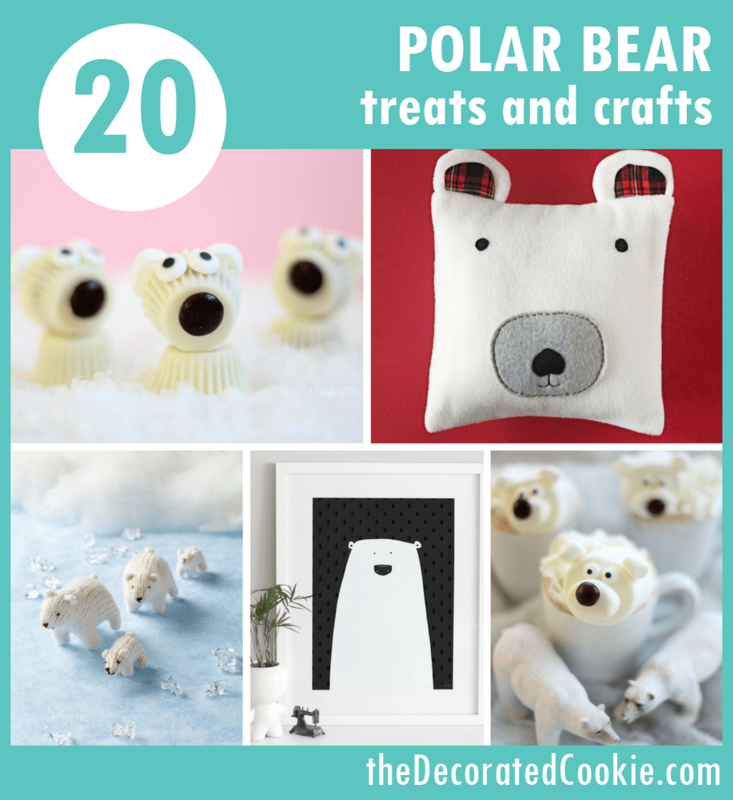 Here are 20 polar bear treats and crafts to make. Make Reese’s Peanut Butter cup polar bears here. Make polar bear pretzels at Hungry Happenings. Make polar bear hot chocolate at Mom Endeavors. Make polar bear cookies at Handmade Charlotte. Make polar bear ice cream at Hungry Happenings. 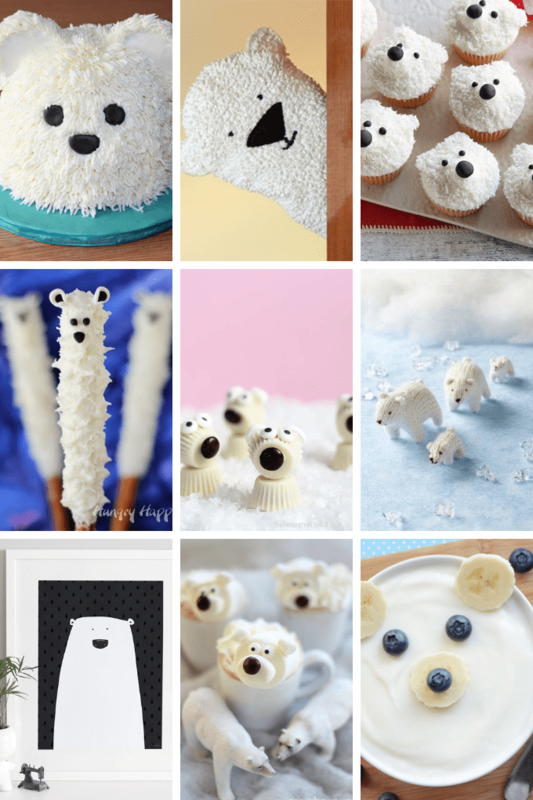 Check out this adorable polar bear cake at Cake Central. Make polar bear cookies at Everyday Dishes. 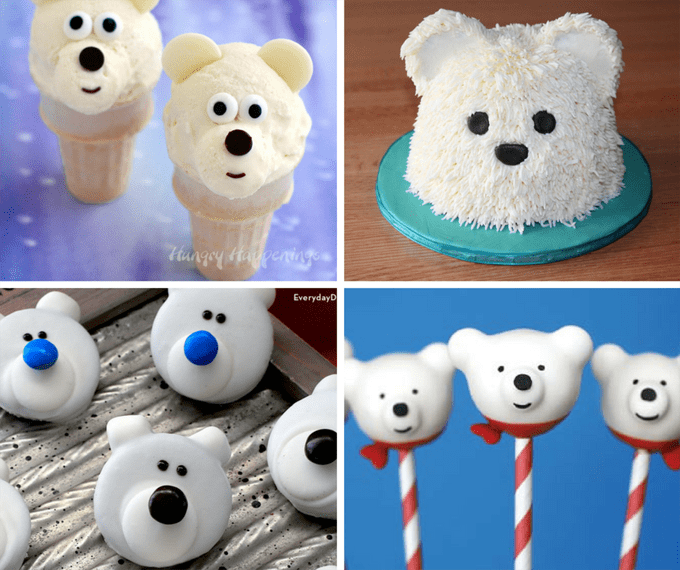 Make bakerella‘s polar bear cake pops at Sweet Living Magazine. 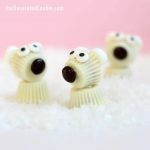 Make polar bear cupcakes at Tesco Real Food. Make a polar bear yogurt snack at Parents. 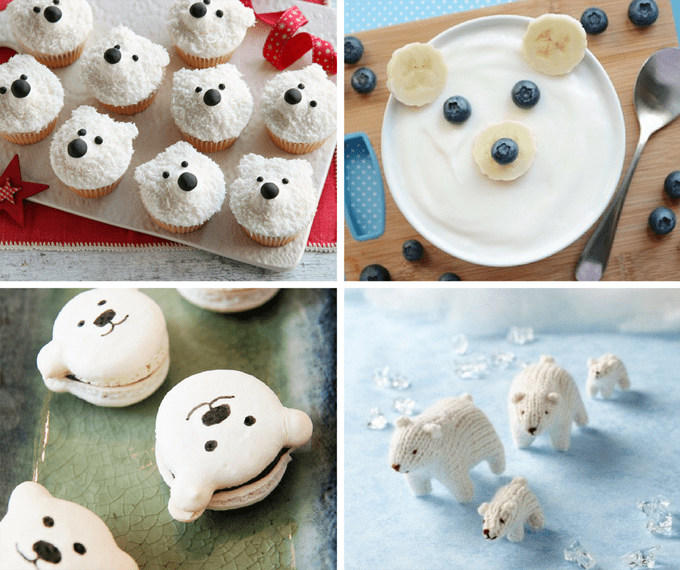 Make polar bear macarons at Koko Cooks. Make mini knitted polar bears at Cut Out and Keep. 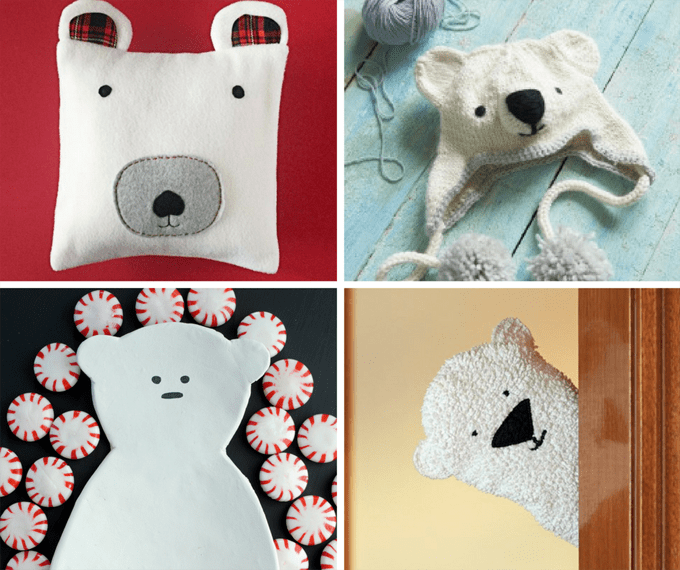 Make a polar bear pillow at Bugaboo City. Make a polar bear hat at Sweet Living Magazine. Make a polar bear clay plate at Alice and Lois. Make a polar bear puppet at Things for Boys. Maybe you can make your own polar bear wall art? Make a polar bear amigurumi at Craft Passion. Make a needle felted polar bear at Martha Stewart. 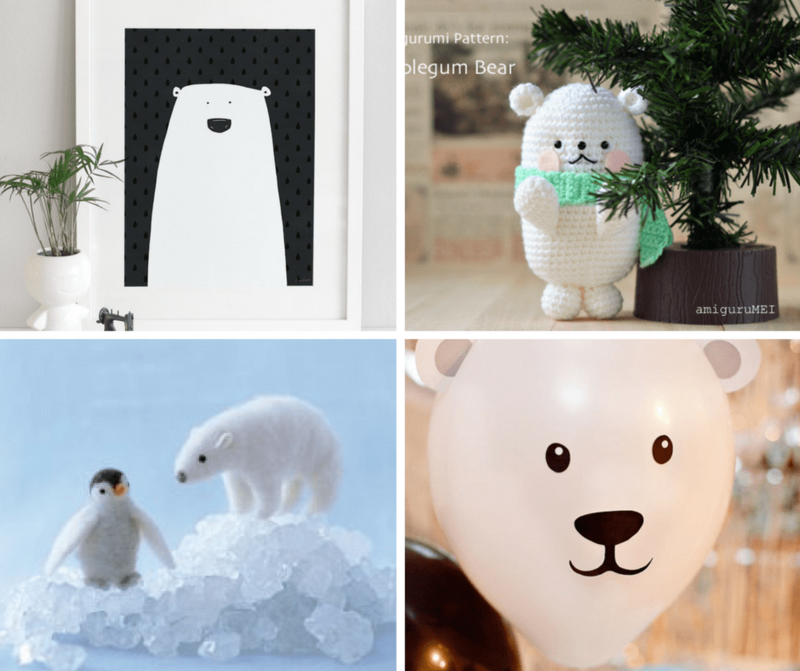 Make polar bear balloons at Hostess with the Mostess.